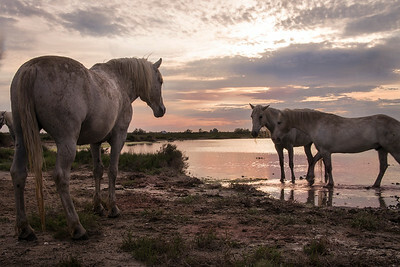 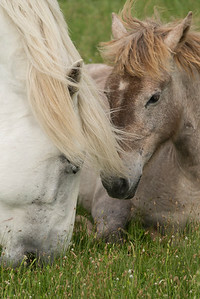 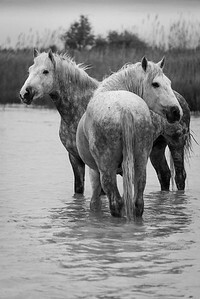 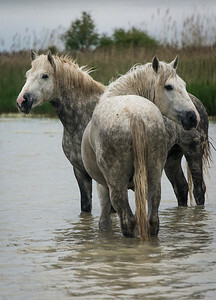 These wild horses of Camargue are indigenous to the Southern region of France. 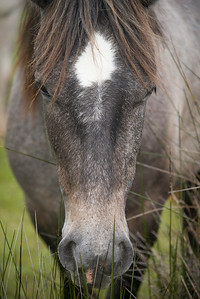 They are one of the original species to inhabit this area. 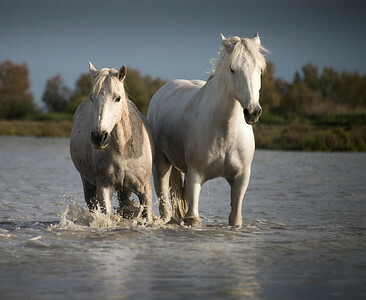 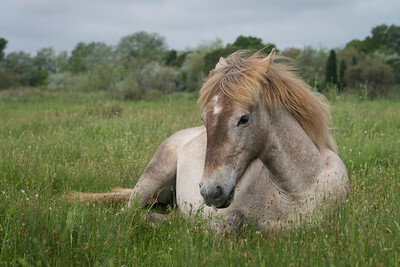 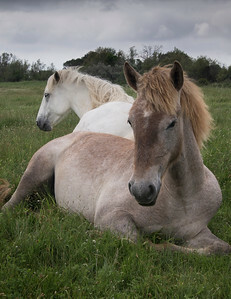 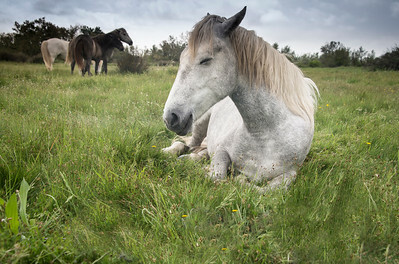 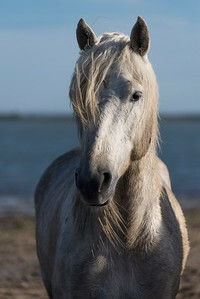 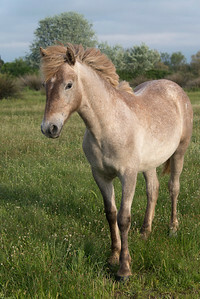 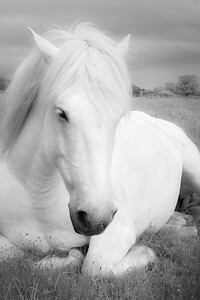 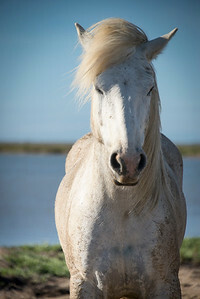 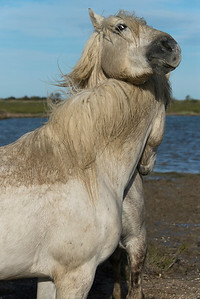 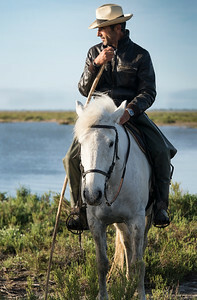 For centuries, the Camargue horses have lived wild in the Camargue marshes and wetlands of the Rhone delta. 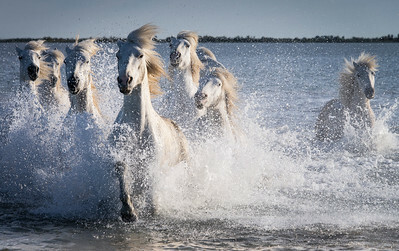 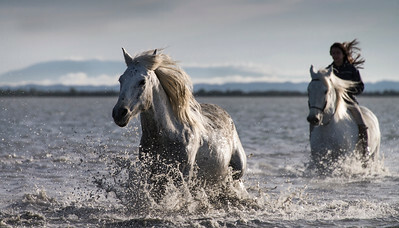 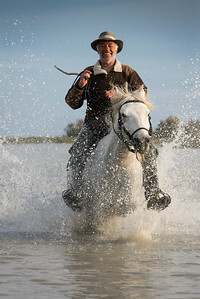 The horses of Camargue, which are the size of a large pony, have developed the stamina, hardiness and agility which have been witnessed today in this romantic setting. 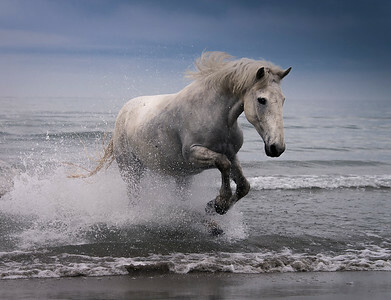 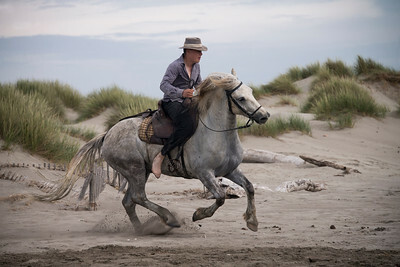 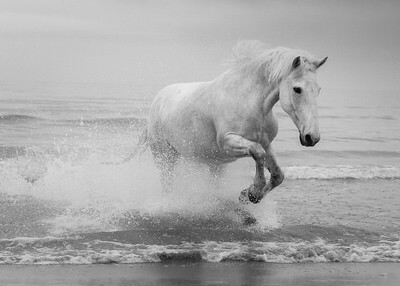 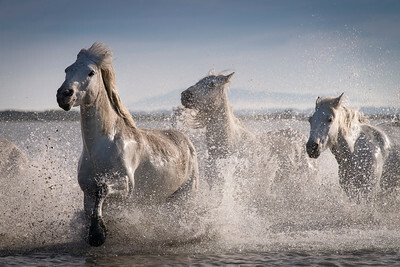 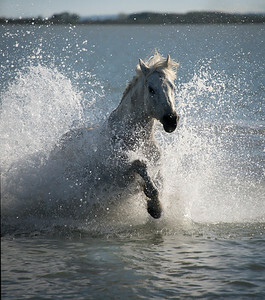 Their strength and power can be seen in their spectacular wild gallop through the sea. 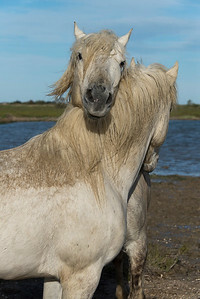 When on land they are a very gentle breed of horses.